The Clinton County Industrial Development Authority now has a new Executive Director following action taken by the IDA board at a special call meeting held last Wednesday morning, March 20. Four active members were present, along with Executive Director Charlette Koger, custodian Rick Mercader and Clinton County Judge/Executive Ricky Craig. The board, by unanimous vote, hired April Speck as the new Executive Director of the IDA, with her official duties beginning this past Monday, March 25. Speck was chosen from among four persons who had applied for the position. At an earlier meeting of the board, they voted unanimously to lay-off Koger and allow her to draw unemployment benefits. She will be paid, under terms of the vote, through April 10. According to newly elected board chairman Jerrod Witham, he requested that Koger and Mercader turn in their keys to the IDA-Welcome Center facility by Monday of this week, the day in which Speck was to officially begin her duties as director. Koger had been with the Industrial Authority for some 15 years, the past few years serving as Executive Director of the board. Mercader, who had also been with the IDA for several years, had previously served as the board’s chairman. A shake up in members and officers occurred earlier this year, including the replacement of former board chairman Jim Soma, who was not re-appointed. The board did not set a term time or salary rate for the new director last week but is expected to do so in the coming weeks. Speck was formerly the coordinator of the Healthy Hometown Coalition program, which was funded via a grant that has since expired. 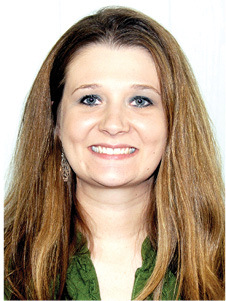 She has also worked for the past several years as anAdministrative Assistant with the Clinton County Tourism Commission and the Albany-Clinton County Chamber of Commerce. A new custodian also was not named as usually the Executive Director makes a recommendation to the board of whom they would like to see fill that position. The next regular meeting of the CCIDA is scheduled for Thursday, April 11 at 11 a.m. at the IDA-Welcome Center and is open to the general public.